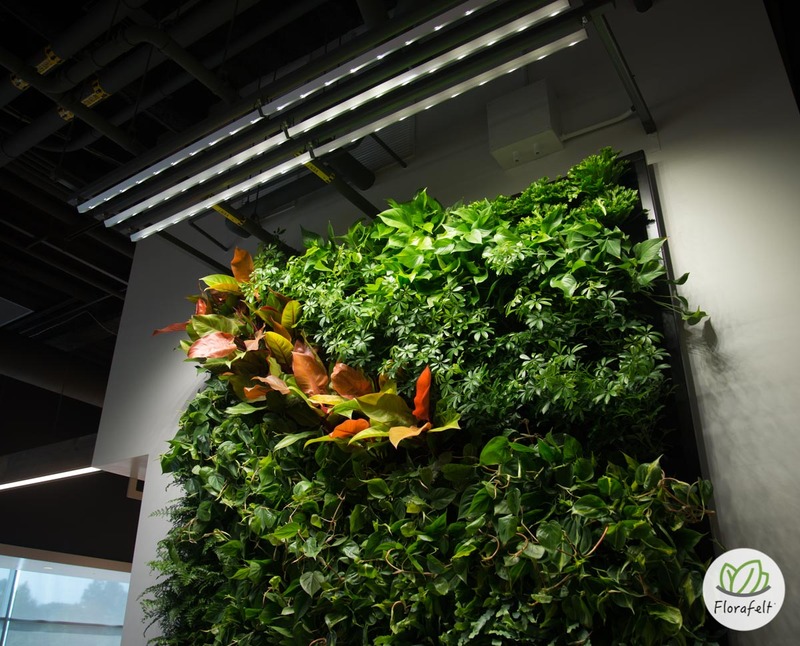 The best way to provide light for your vertical garden is to use full-spectrum LED living wall lighting. Sunlite is a leading pioneer in LEDs used high power CREE with a spectral mix and focused beam fixtures to project an even distribution of light on your vertical garden. They will also help you engineer custom lighting for your project. For indoors we select low light tropical plants that are native to the forest floor beneath the tree canopy receiving 250 foot candles and temperatures around 70 degrees. These conditions are typical to our interior spaces. What we consider ‘house plants’ are suitable to our optimal living conditions as well. To determine light levels get a light meter. Light levels are measured in Foot Candles. Low light tropical plants will survive with 150 – 250 foot candles of lighting and will need 8-10 hours each day. 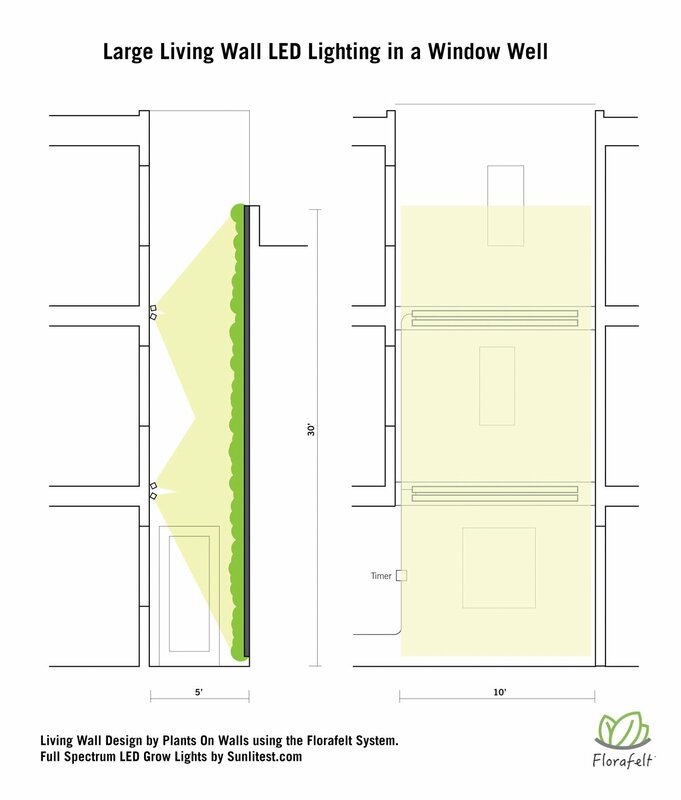 Provide Sunlite with a drawing describing your project and they will provide a light pattern diagram to help you plan your planting grid.